Paul Grabowsky was born in Lae, New Guinea in 1958 and grew up in Melbourne. He metriculated, dux of the state of Victoria and graduated from the UNIVERSITY OF MELBOURNE in 1979. From 1981 he studied at the JULLIARD SCHOOL in New York, lived in Munich a further six years and taught jazz in St. Gallen, Switzerland. He has become one of Australia’s most sought-after composers. His writing for film and television is vast and has included THE PETROV AFFAIR (1986), THE BIT PART starring Nicole Kidman (1987), the full orchestral score for GEORGIA starring Judy Davis, nominated for BEST SOUND TRACK in the 1988 AFI AWARDS, all the instrumental music and arrangements for TONIGHT LIVE WITH STEVE VIZARD, A WOMAN’S TALE (1991) for which his work was nominated for BEST SOUNDTRACK in the AFI AWARDS, theme and additional music for the ABC‘s two series of, PHEONIX (1991-2) the full orchestral score for THE LAST DAYS OF CHEZ NOUS, again nominated for the AFI AWARDS‘ BEST SOUNDTRACK and also for an ARIA award, the episodes LUST, WRATH, and PRIDE for the ABC‘s SINS (1992), the theme music for LIVE IT UP for NETWORK TEN (1992) FULL FRONTAL (1993), the same year writing the jazz tracks and appearing as pianist on the soundtrack of Fred Schepesi’s SIX DEGREES OF SEPARATION. Of his music for the ABC‘s PHEONIX and PHEONIX II, THE AGE wrote: I held my breath as Paul Grabowsky’s beguiling strains heralded the start… He composed the soundtrack for the ABC‘s subsequent JANUS (1994), HALIFAX FP(1995) nominated for BEST TELEVISION MUSIC in the APRA AWARDS, the documentary THE GOOD LOOKER, the score of which won a 1995 AFI AWARD, the feature film, LUST & REVENGE starring Claudia Karvan recorded in Melbourne and Sri Lanka (1995) and the ABC/BBC co-production, THE BITE (1996). During 1998 he was engaged by ARTIST SERVICES to compose the orchestral score for the feature film, SIAM SUNSET and for HALLMARK ENTERTAINMENT‘s telemovie, NOAH’S ARK. Most recently his soundtracks have included SHINER by John Irvin, Paul Cox’s THE DIARY OF VASLAV NIJINSKY, INNOCENCE, LAST ORDERS and, released during 2011, THE EYE OF THE STORM, both films directed by Fred Schepisi.. In addition to those soundtracks which appear on commercially released CD recordings, Paul Grabowsky’s discography includes 6×3 on the SPIRAL SCRATCH label and WHEN WORDS FAIL and THREE on ORIGIN, all featuring his own compositions played by the PAUL GRABOWSKY TRIO and ANGEL, featuring vocalist, Shelley Scown, supported by the PAUL GRABOWSKY TRIO, TEE VEE on the WEA AUSTRALIA label and on VERABRA in Europe, featuring the PAUL GRABOWSKY SEXTET, and PASSION and RINGING THE BELL BACKWARDS, the 1995 debut album of his jazz and semi-improvisatory contemporary music ensemble, the AUSTRALIAN ART ORCHESTRA. THE AGE reviewer, Adrian Jackson, wrote of this recording: The music is so densely layered and detailed, so imaginatively conceived and so brilliantly executed, it requires repeated listening before you can begin to absorb all of what it has to offer. It is a triumph for Grabowsky and his colleagues, and imposing proof that the best in Australian jazz is right up there with the best creative endeavours to be heard anywhere. His recording, THE BITTER SUITE won a 2014 ARIA award for Best Jazz Album, his fifth ARIA award in total, and also Best Jazz Album in the 2014 AIR Awards. SOLO was released on the ABC label, also during 2014, and his most recent recording with Vince Jones, entitled PROVENANCE, again released by the ABC, has been reviewed in THE AUSTRALIAN with, Grabowsky… matchless ease and ceaseless invention…. Of course Grabowsky’s sympathetic accompaniment is faultless throughout. 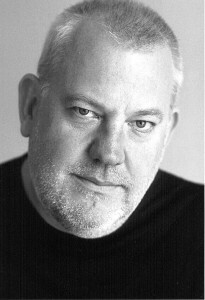 Paul Grabowsky‘s major music theatre piece, THE THEFT OF SITA premiered at the 2000 ADELAIDE FESTIVAL formed part of the program of the MELBOURNE INTERNATIONAL FESTIVAL, was seen at EXPO 2000 in Hannover, Germany and, during 2001, at BROOKLYN ACADEMY OF MUSIC in New York, of which the NEW YORK TIMES reviewer said of the score, …dazzling…, at the SYDNEY OPERA HOUSE and in London. His work was featured in the opening and closing ceremonies of the SYDNEY 2000 OLYMPIC GAMES and the SYDNEY PARALYMPICS. His opera, LOVE IN THE AGE OF THERAPY with libretto by Joanna Murray-Smith was produced by OPERA AUSTRALIA’s OZ OPERA. during 2002 as part of the MELBOURNE INTERNATIONAL FESTIVAL. His song cycle, BEFORE TIME COULD CHANGE US, written for vocalist, Katie Noonan and commissioned by the QUEENSLAND BIENNIAL FESTIVAL OF MUSIC was released, during 2005 on the WARNER label and saw Paul Grabowsky awarded an ARIA award for Best Jazz Album. His TALES OF TIME & SPACE, also on WARNER was recorded in New York with Brandford Marsalis and was presented at the 2005 SYDNEY INTERNATIONAL FESTIVAL and at the 2007 PERTH INTERNATIONAL and ADELAIDE CABARET festivals. 2007 also included a major concert with THE QUEENSLAND ORCHESTRA and 2008 included a solo recital for RECITALS AUSTRALIA in Adelaide. In 2009 he appeared with the ADELAIDE SYMPHONY ORCHESTRA, gave a solo recital in the program of the G’DAY ISRAEL FESTIVAL in Jerusalem and was commissioned to write a major new work for the QUEENSLAND MUSIC FESTIVAL entitled, PRESIDENTSLAND and by the CITY OF MELBOURNE to write a new work featuring the organ of the MELBOURNE TOWN HALL. In 2011 he toured extensively with Paul Kelly in MEET ME IN THE MIDDLE OF THE AIR and, during 2013 and 2014 while CROSSING ROPER BAR, his collaboration with traditional Aboriginal musicians and the AUSTRALIAN ART ORCHESTRA was performed at the Northern Territory’s GARMA FESTIVAL, at the AUSTRALIAN NATIONAL MUSEUM in Canberra and at the HONG KONG ACADEMY OF PERFORMING ARTS. PASSION, his collaborative work based on themes from Bach’s ST. MATTHEW PASSION was featured at the 2014 SOUNDSTREAMS festival in Toronto. Other recent composing projects include THE LAST MAN STANDING, with text by Steve Vizard, for the MELBOURNE THEATRE COMPANY’s 2015 season. His opera, BANQUET OF SECRETS was premiered by VICTORIAN OPERA during 2016 in seasons in Melbourne and Brisbane, of which LIMELIGHT magazine wrote, …the synergy between musical and theatrical intention is so incisive that it delivers a jolt of high-voltage visceral energy that is jaw-dropping. 2018 commissions include a one-woman show for operatic soprano, Emma Matthews, entitled THE SPACE BETWEEN for ARTS CENTRE MELBOURNE and a song-cyle, THREE SONGS FOR GERHARD RICHTER commissioned by OPERA QUEENSLAND for the GALLERY OF MODERN ART in Brisbane, as part of its Richter exhibition. He was the recipient of the MELBOURNE PRIZE FOR MUSIC in 2007, Artistic Director of the 2007 QUEENSLAND MUSIC FESTIVAL and Artistic Director of the 2010 and 2012 ADELAIDE FESTIVAL.